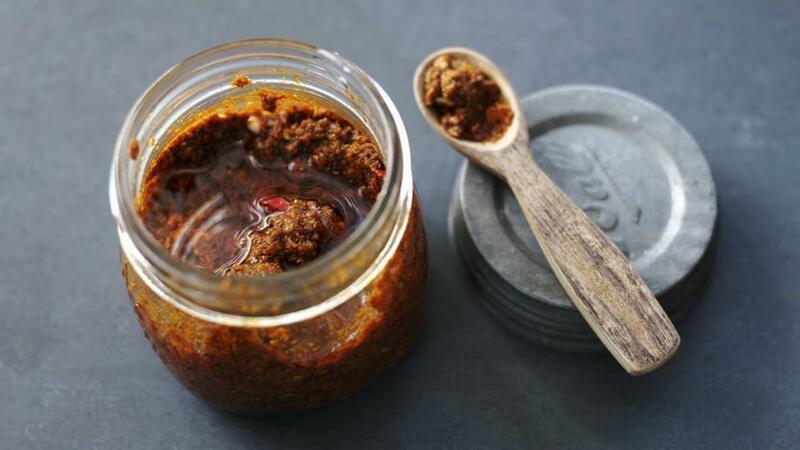 Fresh curry paste will put the wow-factor into your homemade curries. Plus, it's easy to put together and keeps well. Add the turmeric, cinnamon, paprika and dried chillies to a pestle and mortar. Add the cooled toasted spices and grind everything together into a fine powder. Add the salt. Add grated ginger, garlic, tomato purée and white wine vinegar and mix well to make a paste. Use immediately, or spoon the paste into a jar, cover with a layer of oil, seal with a lid and store in the fridge for up to a week. Tablespoon sized portions of the paste can be spooned into ice-cube trays and stored in the freezer for up to three months.